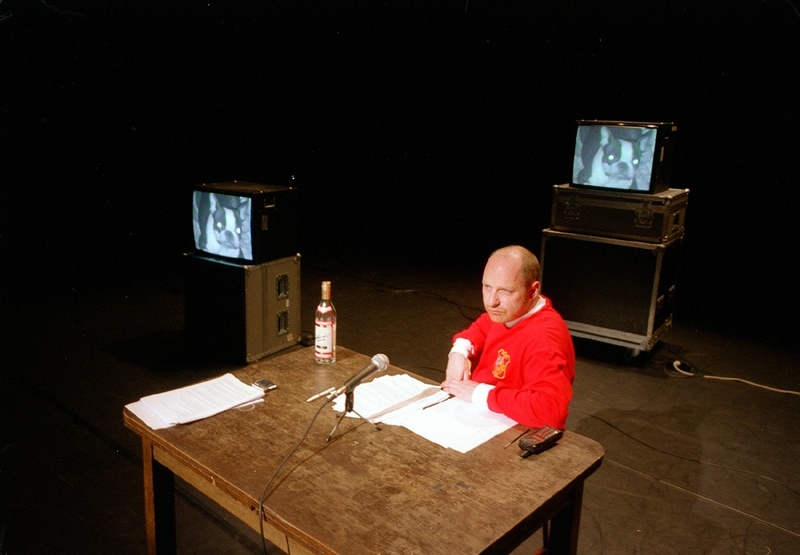 Using home movies, letters and videotapes from friends alongside recordings of world events, Instructions for Forgetting explores video as an artefact, as a container of image and memory and as an occasion for speculation, storytelling, fiction, interpretation. 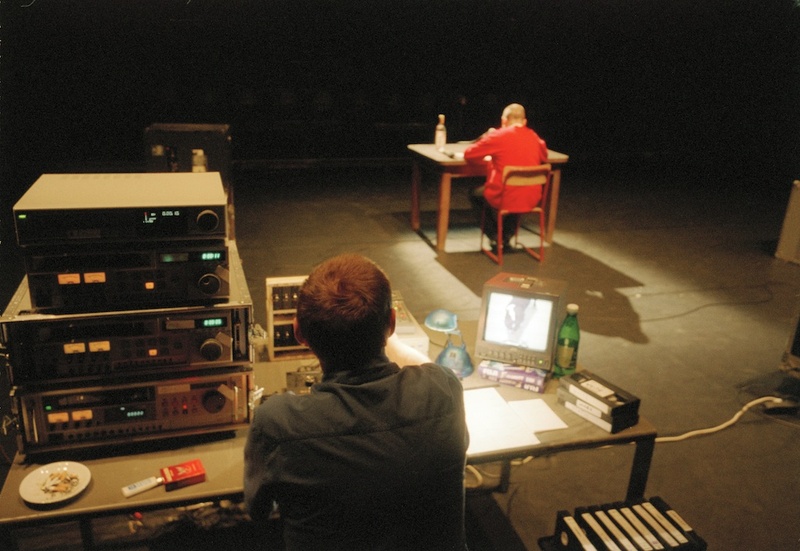 A solo performer (Tim Etchells) and a video operator (Richard Lowdon) sit at their tables in a space strewn with video monitors, VCRs, cables, untidy stacks of videotapes. 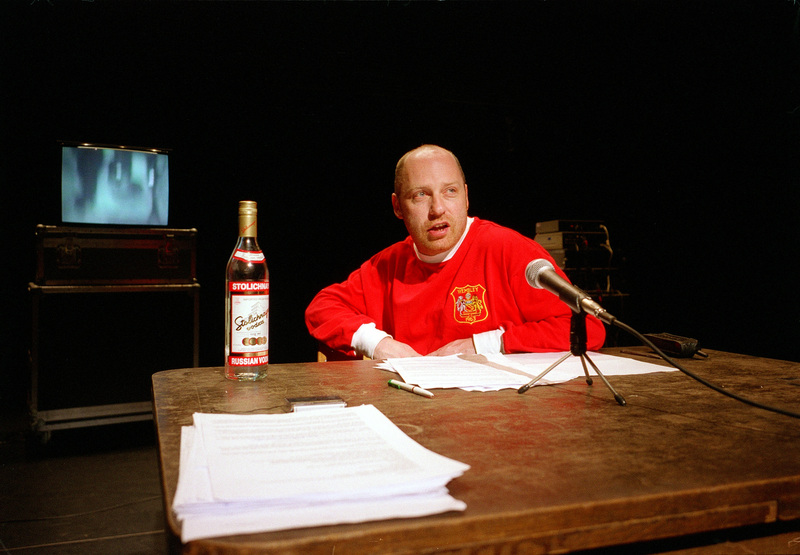 The performer speaks, relaying stories, speculations, letters from friends in different parts of the world. Images are continuously rewound, narratives fast-forwarded, slivers of the past caught in freeze frame, fiction drawn out in an agony of slow motion. 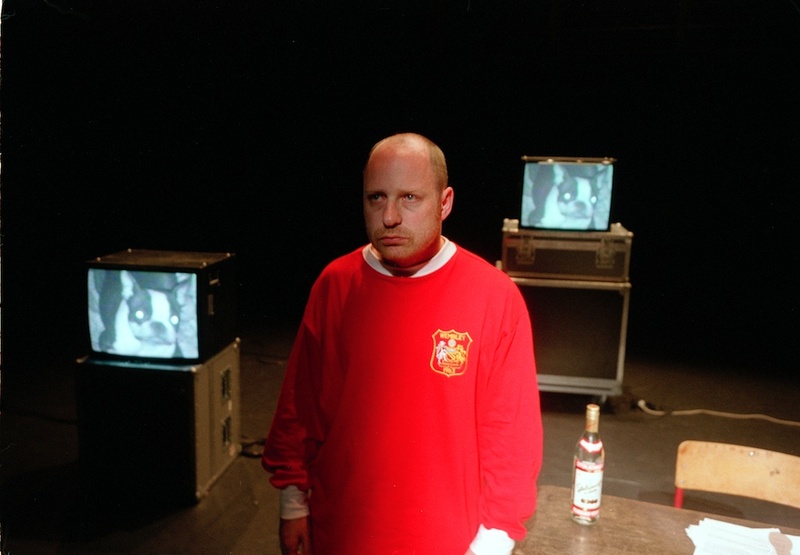 Part intimate essay, part fragmentary narrative, Instructions for Forgetting is a surprising and comical documentary performance, at the centre of which is the process of mapping the links between personal history and the broader histories called culture and politics. 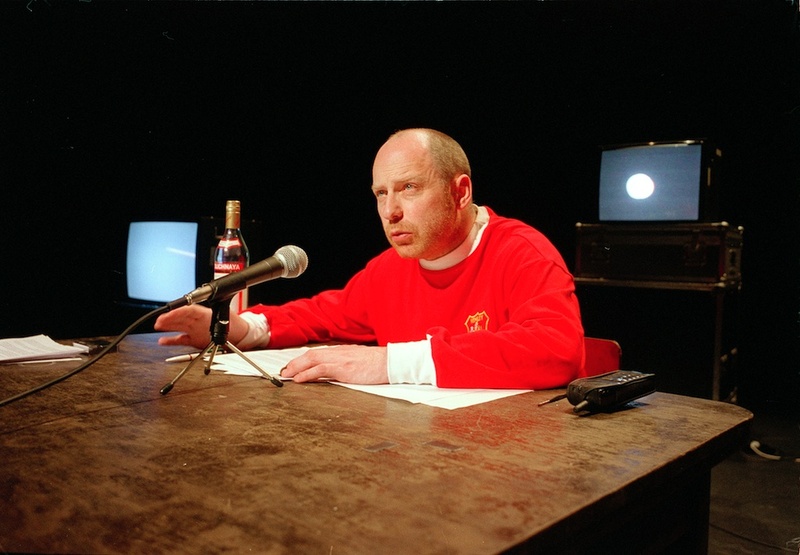 Written and performed by Tim Etchells in collaboration with Hugo Glendinning (video) and Richard Lowdon (design). Commissioned by Wiener Festwochen 2001 (Vienna).